У человека, который ее взял, есть своя 12 летняя французская бульдожка... Она Плюшу не приняла... А вчера они опять поцапались, и у старушки случился инсульт :( Теперь ей для выздоровления нужен полный покой, а присутствие Плюши в доме ее очень нервирует. Ань, я забыла, скоко-скоко ей? Может, в Донецк ее пристроить? Awww that's so sad. I see other dogs in your journal. Unfortunately I cannot read Russian ...so I have no idea what you are saying but I enjoy looking at the pictures. How many dogs do you have? 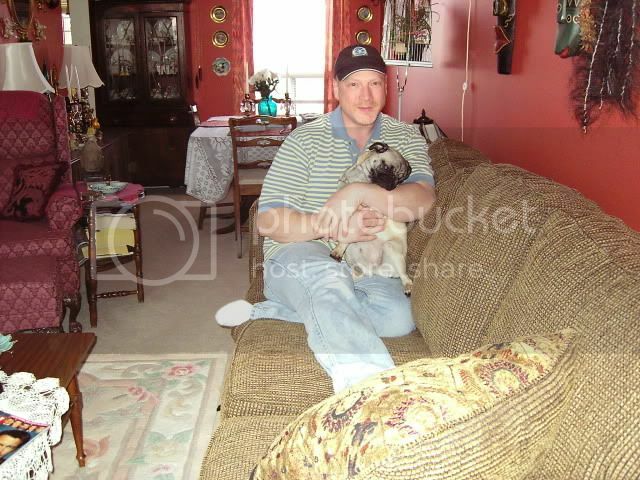 I'm the owner of 3 pugs (you saw there photoes). A blind old pug lives in my flat because his owners had left him in hospital, but I hope to find new owners for him. The other dogs in my LJ were lost. Some of them found there old owners, other found new owners. And they lived in my flat for the period of search of owners. PS I don't speak English well so I apologise to mistakes. I don't work at hospital :) But I like animals and try to help dogs who lost there owners. There is a group of people who help anymals and we also help each other. It isn't an official organisation. Poor little guy. Is that the before and after photos? If they are he is looking much better in the second one. We have a few organizations that will help distressed animals and put them up for adoption. Most do find homes but sadly not all of them. Dogs stand a better chance of being adopted out then cats. To me my pets are a life commitment so many people do not realize this and for whatever reason they sell them or give them away or drop them off at a shelter. My Maggie is 3 years old and I hope she will stand me for many more years. The chinchillas are 14 years old. Yes, he is after 2 month's treatment in the second photo. He has new hair, but he would never see. He is near 7 years old and it is rather difficult to find new owners for him :( People prefer young dogs and he is too old for them.